RIYADH, Saudi Arabia -- The heir to the Saudi throne, Crown Prince Sultan bin Abdel Aziz Al Saud, died abroad Saturday after an illness, state TV said. The death of the prince, who was in his 80s, opens questions about the succession in the critical, oil-rich U.S. ally. Sultan was the half-brother of Saudi Arabia's King Abdullah, who has also been ailing and underwent back surgery last week. The most likely candidate to replace Sultan as Abdullah's successor is Prince Nayef, the powerful interior minister in charge of internal security forces. After Sultan fell ill, the king gave Nayef  also his half-brother  an implicit nod in 2009 by naming him second deputy prime minister, traditionally the post of the second in line to the throne. The announcement did not say where outside the kingdom Sultan died or elaborate on his illness but Saudi official circles in Riyadh said he passed away at a hospital in New York. According to a leaked U.S. diplomatic cable from January 2010, Sultan had been receiving treatment for colon cancer since 2009. Sultan, who was also the deputy prime minister and minister of defense and aviation, has had a string of health issues. He underwent surgery in New York in February 2009 for an undisclosed illness and spent nearly a year abroad recuperating in the United States and at a palace in Agadir, Morocco. 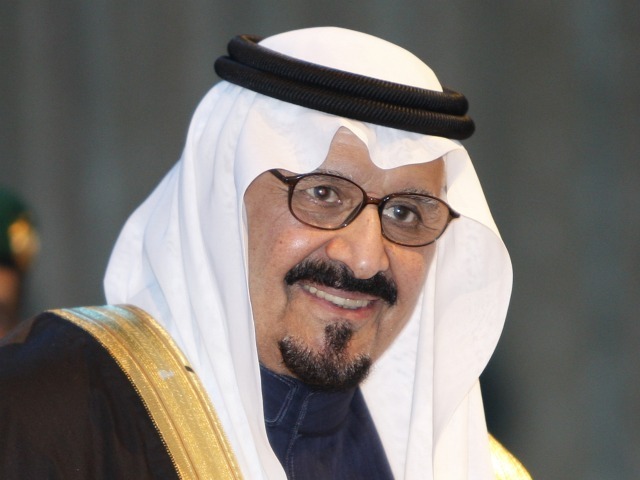 "It is with deep sorrow and grief that the Custodian of the Two Holy Mosques King Abdullah bin Abdel Aziz Al Saud mourns the loss of his brother and Crown Prince His Royal Highness Prince Sultan Abdel Aziz Al Saud," the palace said. The statement, which was carried on the official Saudi Press Agency, added that Sultan's funeral will be held on Tuesday afternoon in Riyadh at the Imam Turki bin Abdullah mosque. From Tajikistan, U.S. Secretary of State Hillary Rodham Clinton expressed condolences on behalf of the American people and President Barack Obama. "The crown prince was a strong leader and a good friend to the United States over many years as well as a tireless champion for his country. He will be missed," said Clinton, who is on a Central Asia tour. "Our relationship with Saudi Arabia is strong and enduring and we will look forward to working with the leadership for many years to come." For the first time, however, the mechanism of picking the next crown prince is not entirely clear. It is possible the king will for the first time put the decision of his heir to the Allegiance Council, a body Abdullah created as one of his reforms, made up of his brothers and nephews with a mandate to determine the succession. That would open the choice up to a degree of debate with the top echelons of the royal family. Nayef, however, will still be the front-runner. Traditionally the king names his successor. But Abdullah formed the council in order to modernize the process and give a wider voice to the choice. Saudi Arabia has been ruled since 1953 by the sons of its founder, King Abdul-Aziz, who had over 40 sons by multiple wives. Anyone who rises to the throne is likely to maintain the kingdom's close alliance with the United States. But it would have an internal impact. Abdullah has been seen as a reformer, making cautious changes to improve the position of women  such as granting them to right to vote in elections scheduled for 2015  and seeking modernize the kingdom despite some backlash from the ultraconservative Wahhabi clerics who give the royal family the religious legitimacy needed to rule. Nayef, however, is often seen as closer to the clerics. Sultan's death comes amid questions about the health of the king. Last week, King Abdullah underwent back surgery in Riyadh. The SPA news agency said the operation was to treat a loose vertebra in his back. Abdullah also had two back surgeries late last year in New York City. Sultan was part of the aging second generation of the King Abdul-Aziz's sons, including the 78-year-old Nayef. Nayef has led an aggressive campaign against Islamic militants following the Sept. 11, 2001 attacks  in which 15 of the 19 hijackers were from Saudi Arabia  but he also has a reputation for close ties to the Saudi religious establishment. This could bring tensions within the Saudi leadership if Nayef is named crown prince, pitting those backing Abdullah's reform measures against those opposing any deviations to the kingdom's strict interpretations of Islam. Nayef also maintains a hard line against regional rival, the Shiite power Iran, claiming earlier this year that Tehran was encouraging protests among Saudi Arabia's minority Shiites. Nayef was deeply involved in the kingdom's decision in March to send military forces into neighboring Bahrain to help crush pro-reform demonstrations led by tiny island nation's majority Shiites against its Sunni rulers  which Gulf Arab leaders accuse of having ties to Iran. In August, Nayef accepted undisclosed libel damages from Britain's newspaper The Independent over an article which accused him of ordering police chiefs to shoot and kill unarmed demonstrators in Saudi Arabia. Sultan was long seen as a powerful aspirant for the throne. When Fahd became king in 1982, Sultan had hoped to be named crown prince. But instead Fahd appointed their half-brother, Abdullah, a decision that Sultan challenged. The sons of Abdul-Aziz closed ranks when the issue was decided, aware that a direct confrontation with Abdullah could tear the family apart. Sultan was named second deputy prime minister, a position that guaranteed him the move to crown prince. When Fahd died and Abdullah ascended to the throne, Sultan was named crown prince and heir. Sultan was the kingdom's defense minister in 1990 when U.S. forces deployed in Saudi Arabia to defend it against Iraqi forces that had overrun Kuwait. His son, Prince Khaled, served as the top Arab commander in operation Desert Storm, in which U.S., Saudi and other Arab forces drove the Iraqis out of Kuwait. In May 2004, the royal court announced that Sultan was discharged from a Jiddah hospital after an operation to remove a cyst from his intestines. In a rare move, Saudi television showed footage of the prince, dressed in a traditional white robe and sitting in an armchair, receiving greetings from a number of Saudi dignitaries. A few days before that, state-guided media showed photos of the prince in his hospital bed, apparently to counter rumors about his health. Sultan was born in Riyadh in 1928, according to the defense ministry's website. But official reports vary, some say he was born in 1931, others have him as being 85 years old. In 1947, he was appointed governor of Riyadh. At the same time, he was assisting his father in the setting up of a national administrative system based on the implementation of Islamic Sharia law. In 1953, he became the kingdom's first minister of agriculture. Two years later, Sultan became minister of transportation, supervising the development of the kingdom's roads and telecommunications network and the construction of the railway system connecting the eastern city of Dammam with Riyadh, the capital. As defense minister, Sultan closed multibillion deals to establish the modern Saudi armed forces, including land, air, naval and air defense forces. On more than one occasion, the deals implicated several of his sons in corruption scandals  charges they have denied. Sultan is survived by 32 children from multiple wives. They include Bandar, the former ambassador to the United States who now heads the National Security Council, and Khaled, Sultan's assistant in the Defense Ministry.